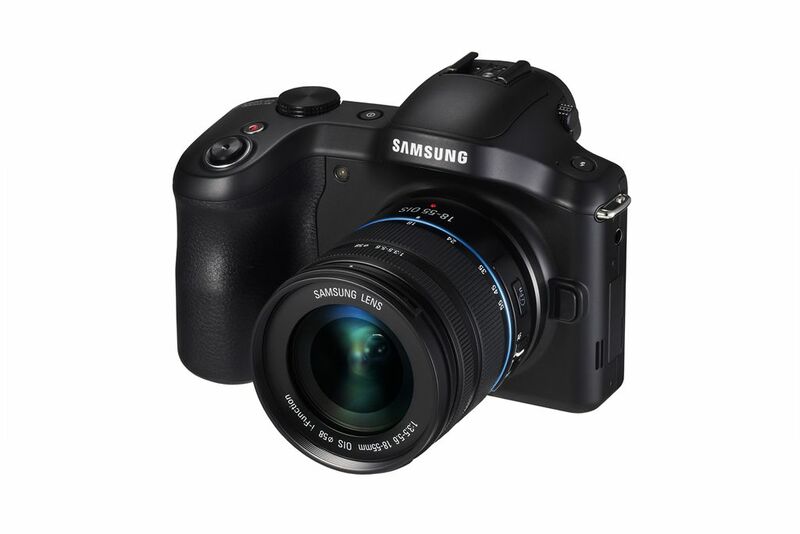 Last year Samsung introduced the Galaxy Camera, a superzoom with an Android operating system, and the first camera ever with full mobile connectivity (read our Samsung Galaxy Camera Review). 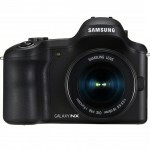 Last week, they announced the world’s first interchangeable lens camera with 4G mobile service, the Android-powered Samsung Galaxy NX. 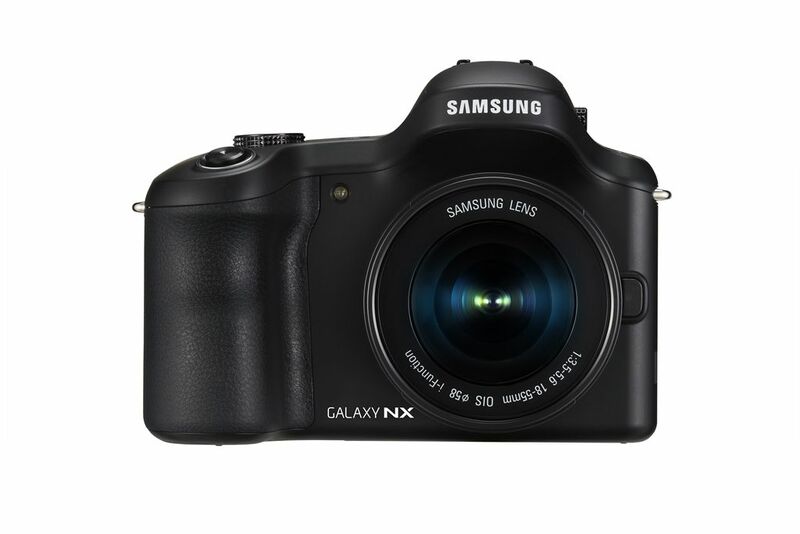 The Galaxy NX combines Samsung’s NX mirrorless camera system with Galaxy Smart Phone functionality. 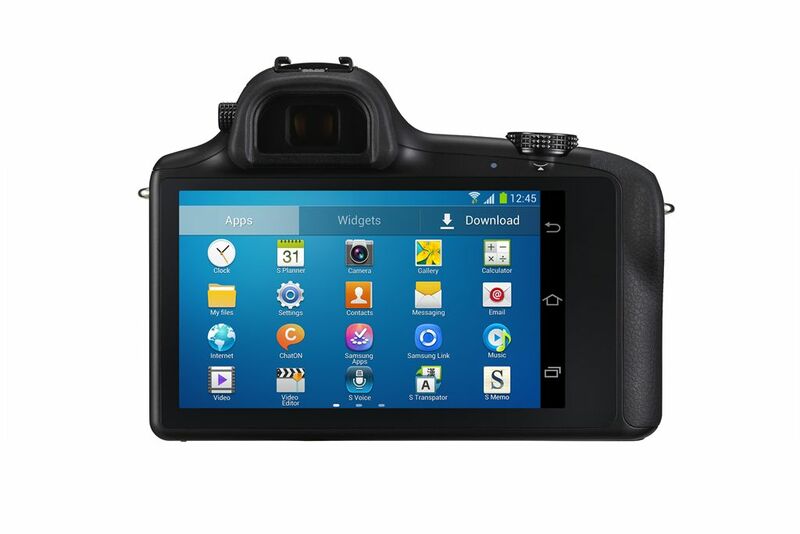 From the front it looks like a DSLR, and from the back it looks a lot like a Samsung Galaxy Smart Phone. The Android operating system means it can do nearly anything your Smart Phone can do, too. You can install all your favorite apps, including Facebook, Instagram, Twitter, Photoshop Express, Snapseed, etc; and with 4G LTE connectivity, you can upload photos and videos from almost anywhere. The only thing it can’t do is make a phone call – unless you install the Skype app. 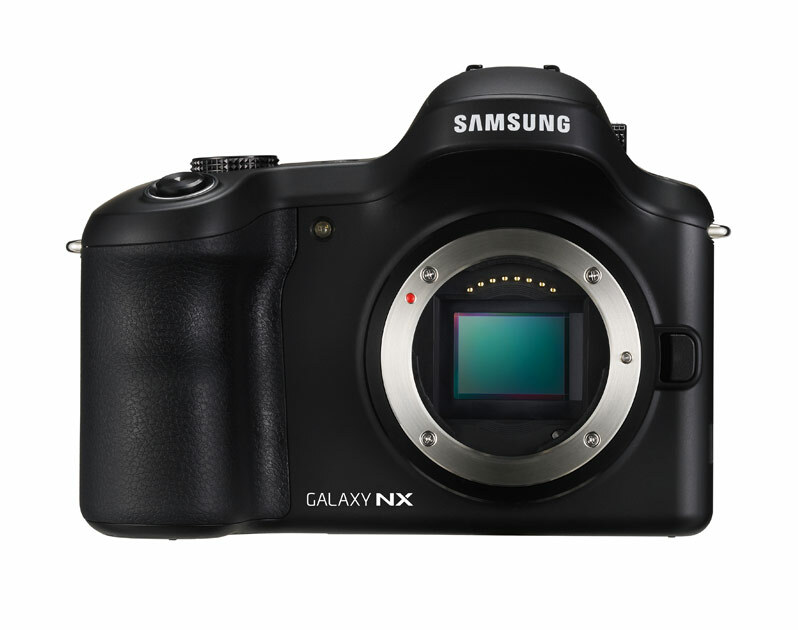 With a large 20-megapixel APS-C sensor, full HD video, electronic viewfinder (EVF), RAW shooting, interchangeable lenses and Advanced Hybrid Auto Focus make the Galaxy NX a very different animal from any Smart Phone. 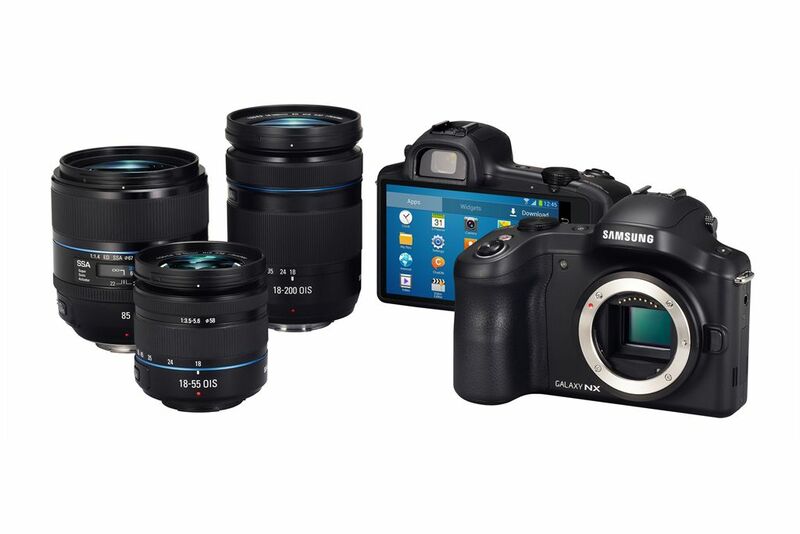 Samsung's custom camera app, as seen on last year's Galaxy Camera, Android-powered superzoom compact camera. 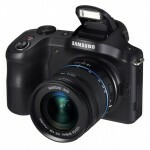 I really enjoyed the Samsung Galaxy Camera when I reviewed it, last year. I loved having 4G connectivity and all my favorite Android apps in a real camera with a larger sensor, a 21x optical zoom lens, and manual exposure controls. Although the top Smart Phone cameras are very good now, they still don’t offer the image quality, control or versatility that I want. Although the Galaxy Camera’s image quality isn’t as good as current pocket superzoom cameras, and it’s pretty chunky, it’s still a whole lot better than my Galaxy S3. And being able to shoot, process and share all from the same device is awesome. 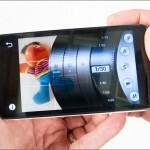 Even if the Galaxy Camera isn’t perfect, it has no real competition. Until now, anyway. 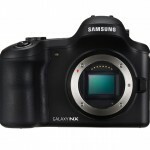 The most important difference between the original Samsung Galaxy Camera and the new Galaxy NX is the sensor. The 20-megapixel APS-C sensor is the same size used in most DSLRs. It’s huge compared to the best Smart Phone sensors and bigger pixels mean better image quality – especially in low light. 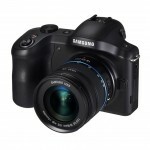 That’s why the Galaxy NX can shoot all the way up to ISO 25,600. The image quality from the Galaxy NX will be orders of magnitude better than your Smart Phone, and you’ll have all the same apps and mobile sharing ability you’re used to. 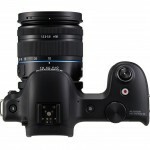 Being able to use interchangeable lenses is huge, too. Samsung has 12 lenses for their NX mirrorless system now – everything from an 18-200mm zoom to a 30mm f/2.0 pancake prime. 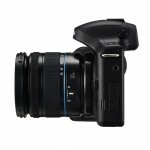 In fact, those two lenses would make a great, compact kit for a photographer who wants to stay connected. And that’s who I see benefitting most from the Galaxy NX camera – serious photographers who want to be able to share anywhere, anytime. 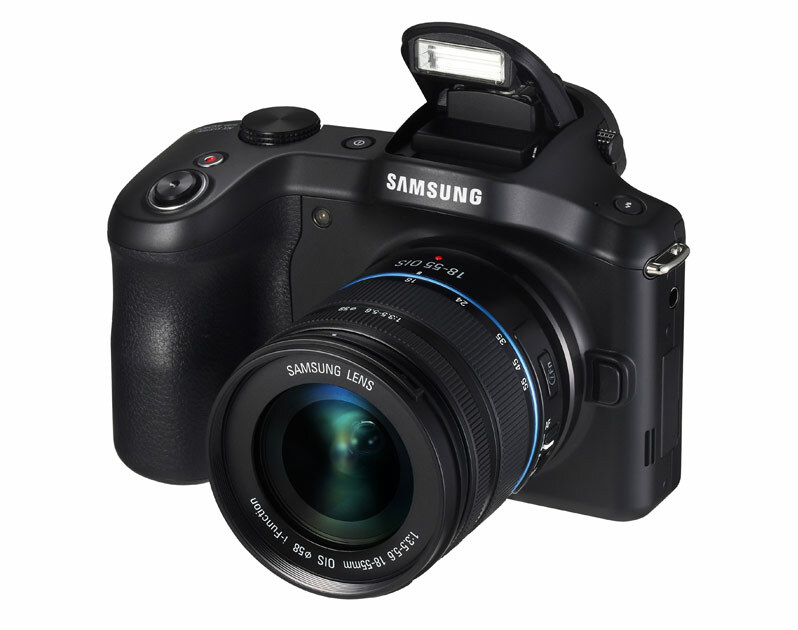 If you’re tired of taking the same picture with two different cameras so you can post to Instagram and have a clean, high-res shot, the Galaxy NX is a great solution. True, you can do the same thing with a Wi-Fi-enabled camera or an Eye-Fi card. But trust me on this – even though a Wi-Fi camera allows you to transfer images to your Smart Phone or tablet, cutting out that extra step makes life a whole lot easier. That’s what I discovered when I was testing the Galaxy Camera. It’s just so much faster and easier when you can do it all on one device. One of the downsides I found with the Galaxy Camera, and it appears to have carried over to the Galaxy NX, are the controls make the camera a bit slow to use. External controls on the Galaxy NX are minimal with most functions, including exposure, accessed via Samsung’s custom camera app (see photo, above, from the Galaxy Camera). It’s actually a beautiful, well-designed app that offers full manual exposure control. Unfortunately, adjusting exposure with an app requires too many clicks and makes manual exposure control too slow. Also, since manual controls are only operable via the touchscreen LCD display, you can’t use them with your eye to the EVF, essentially nullifying one of the most important features of the Galaxy NX. 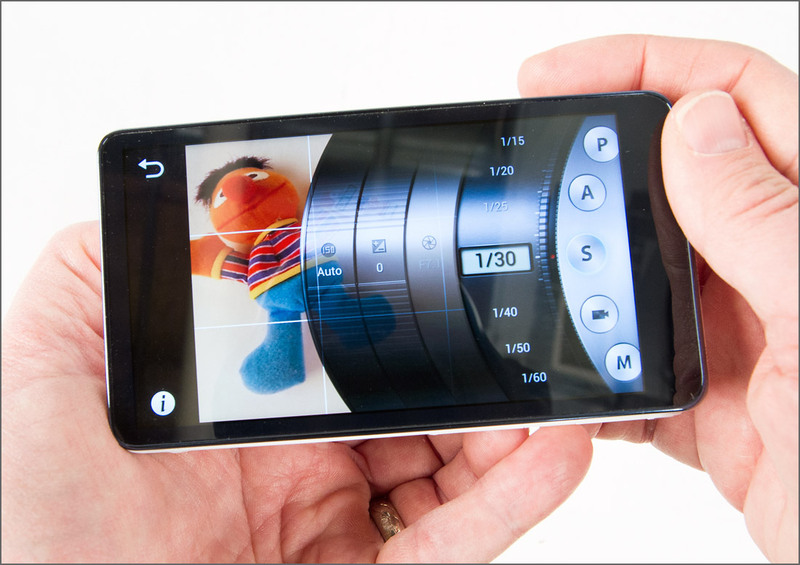 Another potential issue with the Galaxy NX is the size. 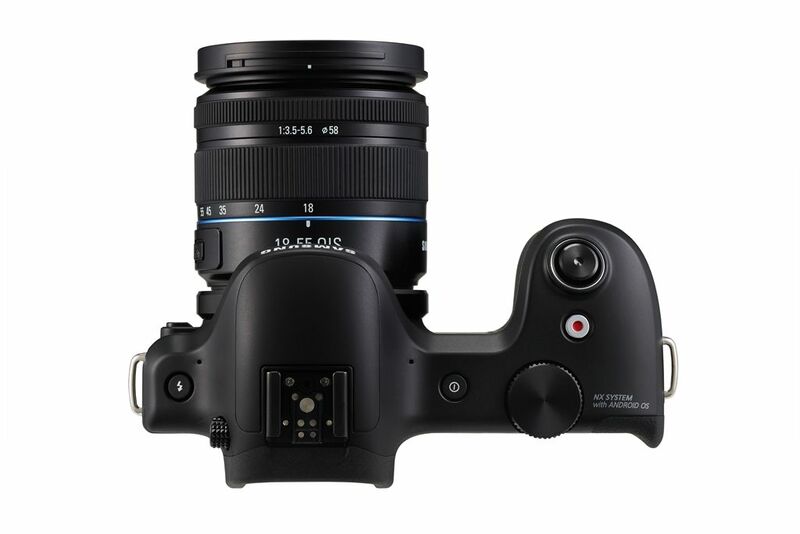 At 5.4 x 4 x 1 inches (136.5 x 101.2 x 25.7mm), it’s the same size as most entry-level digital SLRs. That’s a lot bigger than the average mirrorless camera. 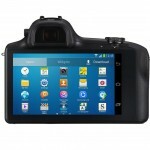 The size is mostly due to the huge 4.8-inch touchscreen display on the back of the camera. Since it’s a one-of-a-kind camera, I don’t think the size will stand in the way of people buying it. On the other hand, it would be nice if it was more in keeping with other mirrorless cameras. And since it is so big, it’s too bad Samsung didn’t give it more external controls for the experienced photographers who will want them. 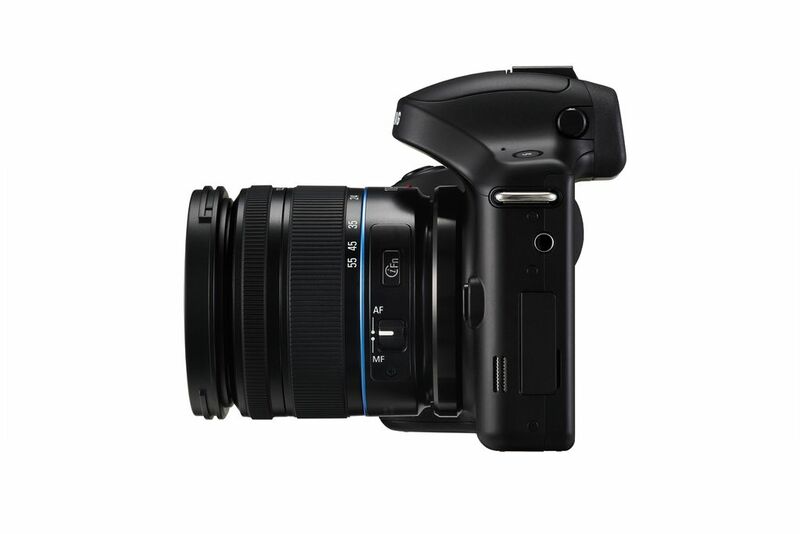 Like the Galaxy Camera, the new Samsung Galaxy NX is a bold move – a game changer, if you will. 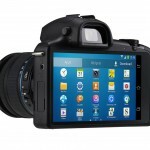 Putting the Android operating system and 4G mobile service in an interchangeable lens APS-C sensor camera is huge. 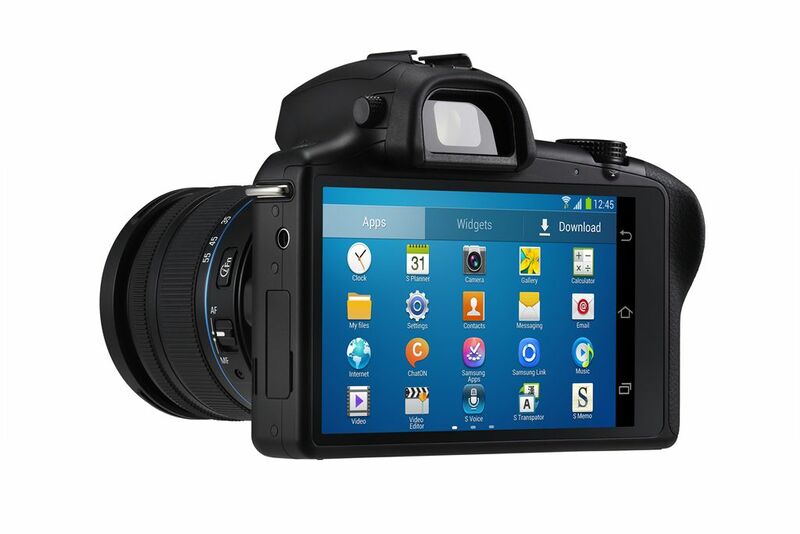 The Galaxy NX should be very attractive to business owners, PR and marketing professionals, event photographers and anyone else who wants the best possible quality photos in a truly connected device. Personally, I’d love to try it out for tradeshow photography. Then I can leave the Smart Phone in my pocket and post no-compromise photos straight to the Web from the camera. The Galaxy NX may not be perfect, but like the Galaxy Camera, Samsung deserves a ton of credit for being the first manufacturer to step up and do it. I’m look forward to getting one for review.